What a year it’s been so far. 2017 has certainly been a busy year so far. 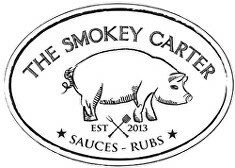 After giving up my full time job at the end of February to concentrate on The Smokey Carter full time, the business has been able to grown and we are well on the way to taking the business to the next level. 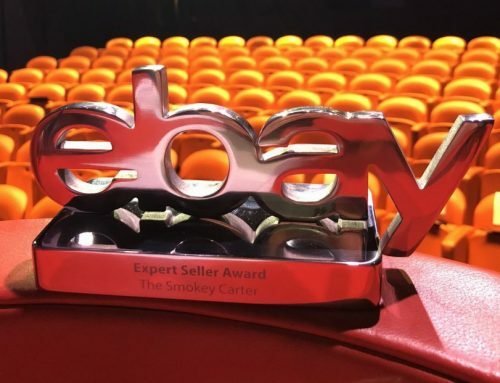 Over the Summer we successfully completed a campaign with crowdfunding website Tesco BackIt to help us manufacture two new sauces (Smokey Chipotle Mayo and Ancho Chilli BBQ Sauce). 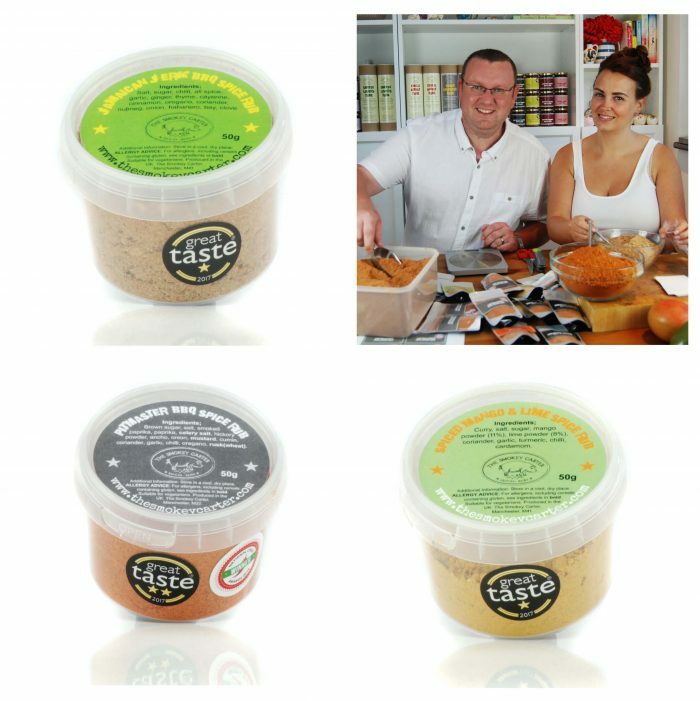 These sauces have now launched and we are receiving great feedback from all our customers. 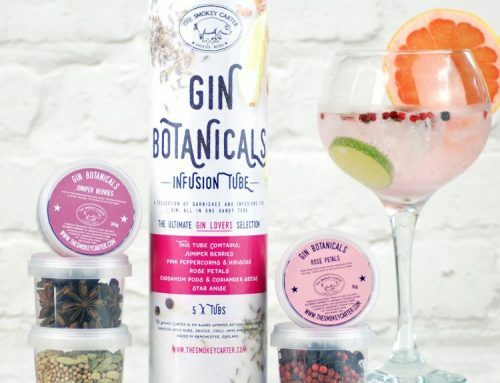 We have invested greatly in the business over the past few months and have also undertaken a full re brand of our labeling and gift range. This includes 8 jars, 5 bottles, 4 gift tubes and 5 gift boxes. 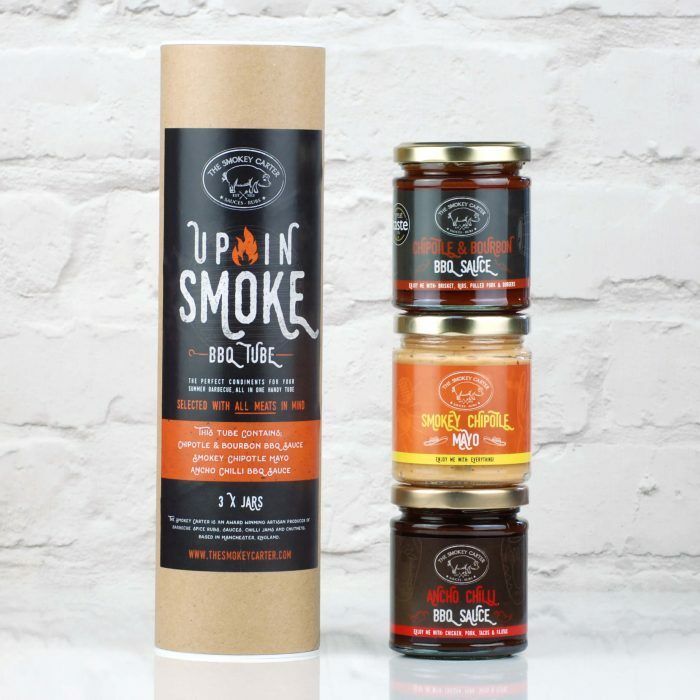 Mr Smokey has always undertaken every aspect of the business from recipe development to label design but decided that it was time to take the next step and outsource our labeling design. Our 12 different rub pouches have also undertaken a revamp which feature in a number of the gift boxes. We have also added new merchandise to the range for those die hard Smokey fans. Along with the new sauces we produced for the crowdfunding campaign we decided to add another sauce to the range. Our new Jerk Ketchup is packed with traditional Jerk spices and has a good kick from scotch bonnet chilli. 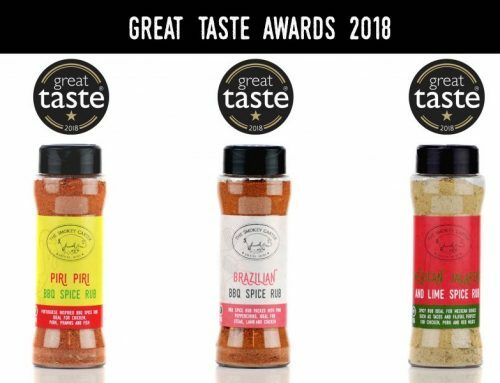 In August we had another great lift to the business with the announcement of the Great Taste Awards in which we scooped 3 new awards including a 2* for our Pitmaster BBQ Spice Rub, 1* for Spiced Mango & Lime Rub and 1* for Jamaican Jerk BBQ Rub. 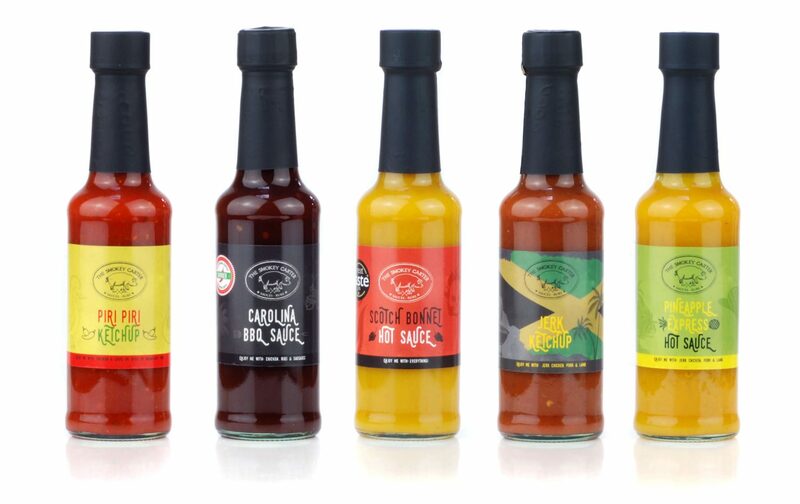 We are proud to now have 6 Great Taste Awards for our rubs and sauces and look forward to seeing what the judges think of our new sauces next year. 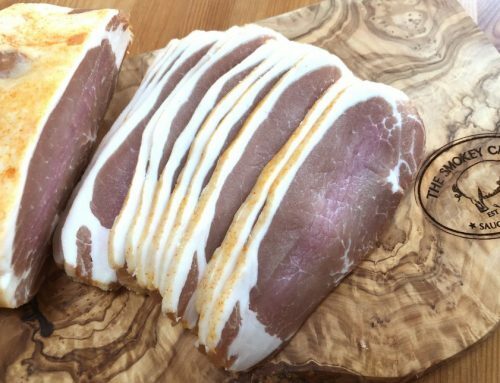 This years awards mark our third year of Great Taste wins which means we can now call ourselves a Great Taste Producer which is a great acknowledgment from the Guild of Fine Food that our products taste great. With preparation for the Christmas rush well under way, our brand new website is launched. It’s new eCommerce platform will allow us to increase our online sales as well as offering our customers a better shopping experience and confidence in security. We hope to see further growth 2018 and will keep you updated on any exciting news we may have. We can’t have got this far without our customers, so a big thank you! Love the look Smokey! 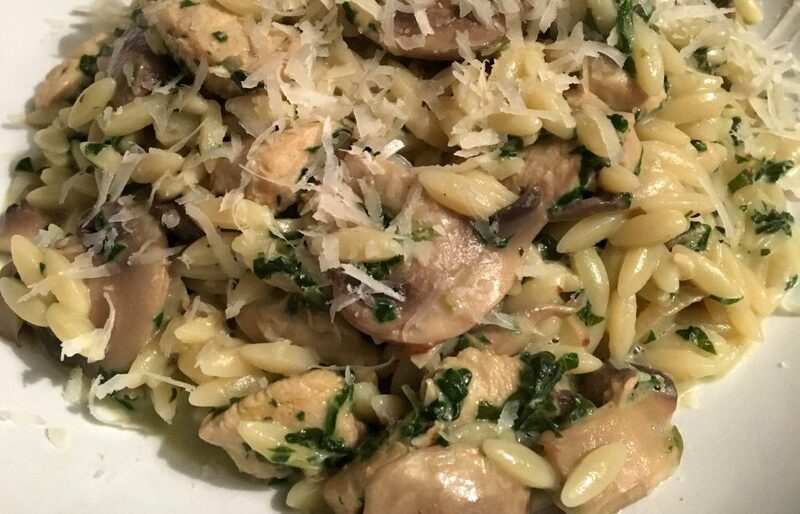 As with all things it’s what’s on the inside that counts and your sauces n rubs stick to your values of great food, great tastes. Not quite through my backit supplies yet but hunting for my pitmaster… Maybe it got used late one night ? Top job! Well done on the Great Taste producer recognition!